The future of the nuclear energy in the United States may well run through rural Idaho, where the federal Energy Department, a nuclear technology company and a power utility are collaborating on a power plant that nuclear advocates hope will boost the industry’s flagging fortunes. While the rest of the industry has struggled — with old plants shuttering and the first new reactors built in decades labor through massive delays and cost overruns — advocates are promising the Idaho project will be different. There, the companies and federal government are collaborating on what’s known as a small “modular” nuclear reactor. Unlike their larger relatives, modular reactors are to be factory-built, eliminating the safety and installation issues that often bloat construction costs, and they come with fewer nuclear waste concerns. Much smaller than the behemoths of midcentury, installers can adjust them to fill different electricity needs. Some could be small enough to power a single manufacturing facility. Advocates say small modular reactors will be safer, cheaper and more nimble than the older reactors utilities are fighting to preserve. But the still-nascent technology faces a threat: President Trump’s budget would not renew the expiring grant that the Energy Department is using to help fund the project as it goes through a lengthy and expensive development phase. So far NuScale, the technology company after which the project is named, has spent more than $400 million designing its reactor and still has about $600 million more spend through the final push. But even if everything proceeds on schedule, the plant won’t produce any power or draw any revenue until 2025. Even members of the president’s own party have taken him to task on the issue, urging him to plus up funding in a May 2 letter. Lawmakers may yet have another way to weigh in — on top of federal spending levels, the industry says the project’s survival also depends on Congress adjusting a tax incentive to allow next generation reactors to qualify. The provision requires reactors to operate by 2020, which won’t be the case for NuScale. Project backers are banking on federal support to help bridge the gap until completion, and they say that if the Energy Department’s funding vanishes it could not only stall the NuScale project, but sink prospects for modular reactors across the country, forfeiting the race for a greenhouse gas-free energy source to foreign countries such as Russia and China. 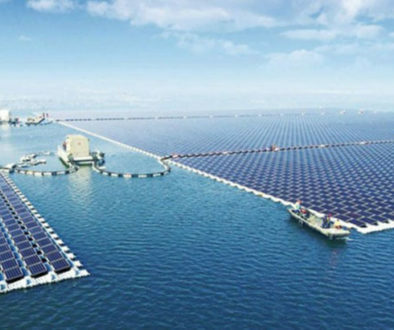 “This is the one biggest hope that we have over the next six to eight years,” said Spencer Nelson, policy analyst with ClearPath, a conservative clean energy group. “Everyone in the nuclear industry cares about NuScale. The debate over NuScale underscores the broader dilemma of nuclear energy, a power source of near-limitless potential that is nonetheless perpetually controversial due in part to the tremendous cost and complication of getting plants off the ground. On one side, nuclear skeptics in the environmental community argue the funding being devoted to these projects would be better spent on developing other climate-friendly energy sources, such and wind and solar power that don’t face the same upfront development hurdles or have the same waste and safety concerns. On the other side, free-market purists balk at the federal funding’s interference in the market. And like every other energy source, nuclear power has had to compete with the resurgence of natural gas, which has gotten cheaper and more plentiful thanks to new extraction technologies. That threat is particularly salient for NuScale. The power company investing in the project, Utah Associated Municipal Power Systems (UAMPS), is looking to the plant to replace coal-fired power plants slated to go offline by 2025. The utility can pull out of NuScale any time before 2021, but if it goes forward after that, it’ll be on the hook financially for billions of dollars even if NuScale never produces a watt of its envisioned 600 megawatts. Nuclear isn’t the only option, as the area is home to the natural gas-rich Uinta Basin. Installing natural gas is “the nine ball sitting on the edge of the corner pocket. I can knock that in any time I want to,” said Doug Hunter, chief executive officer with UAMPS. “The biggest concern we have is do we need to have this type of generation in the future?” Hunter said. “Or are we able to handle our energy needs through energy efficiency and distributed generation and batteries? We are debating that. “We are not going to walk into a blind take-or-pay product,” he added. 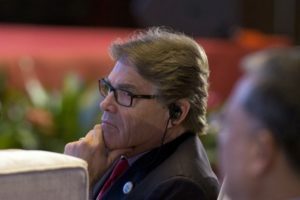 The Energy Department funding, aimed at helping the project move through the regulatory phase, is what nuclear advocates are hoping will give UAMPS the confidence to proceed with the new technology, and so they’re counting on Congress to renew the nuclear grant. Energy Secretary Rick Perry will be tasked with defending the budget at a Tuesday House hearing, and the cuts he’ll be proposing. But the cuts go deeper. Overall, the White House would slash DOE’s nuclear office by 31 percent to $703 million, halve a program dedicated to extending the operating life of existing reactors, strip $38 million from an advanced reactor research effort, reduce research for recycling spent nuclear fuel by $150 million and kill a loan program designed to get innovative technology off the ground. Nuclear backers say the proposal would hinder research and development for emerging nuclear technologies, such as molten salt reactors instead of traditional lightwater models, as well as small modular reactors like NuScale. “Even if you think it wasn’t necessary or Congress was going to save it, it’s a very important question to ask what are the priorities of the administration, and are they going to do what’s necessary to step out and try to bolster or save emerging technologies?” said Josh Freed, clean energy vice president with think tank Third Way, which supports the new tech. Not everyone sees the cuts as bad. Some think there’s limited interest in the advanced nuclear technology and that funding research wastes taxpayer dollars. Promised for decades, companies have struggled to bring down small modular reactor costs. 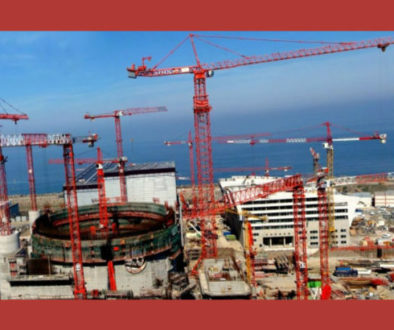 And nuclear’s share of world electricity has been shrinking since it accounted for 18 percent in the mid 1990s — it now stands at 11 percent — and is expected to keep slipping, said M.V. Ramana, a physicist at University of British Columbia. 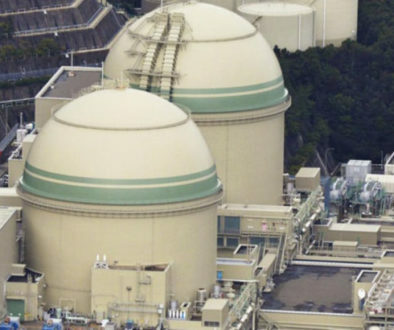 “The prognosis for [small modular reactors] is just not bright enough to warrant continued support for this,” said Ramana, who until recently worked at Princeton University’s Nuclear Futures Laboratory. Hunter, the UAMPS chief, projects NuScale’s power will be cost-competitive with natural gas in 2025, but predicting fuel prices that far out is complicated. Gas prices could stay low, solar power is getting less expensive and energy efficiency may improve. That small modular reactors have never been approved for U.S. use adds to the complexity. The Nuclear Regulatory Commission doesn’t even have the architecture in place to approve the NuScale license, noted Christopher Guith, a former Energy Department deputy assistant secretary for nuclear who now is senior vice president for policy at the U.S. Chamber of Commerce’s Institute for 21st Century Energy. That’s because federal research has often catalyzed new energy technology — think fracking. Private companies margins are too thin to conduct massive research programs. Venture capital is scarce because the return on investment is lengthy. Meanwhile, rival firms outside the United States are often state-subsidized or -owned. That’s why NuScale, UAMPS and everyone else involved is watching the budget process and Congress closely. * Zack Colman is a freelance journalist who writes about energy and the environment.